There are 3 shops proposing this game for download at an average price of $ 13.46. Taking its cues from the more realistic Battlefield 1942 first person shooter, this is basically one big Star Wars-themed gun-fest that is certainly worth a look for fans, even if it has been superseded by more modern releases. 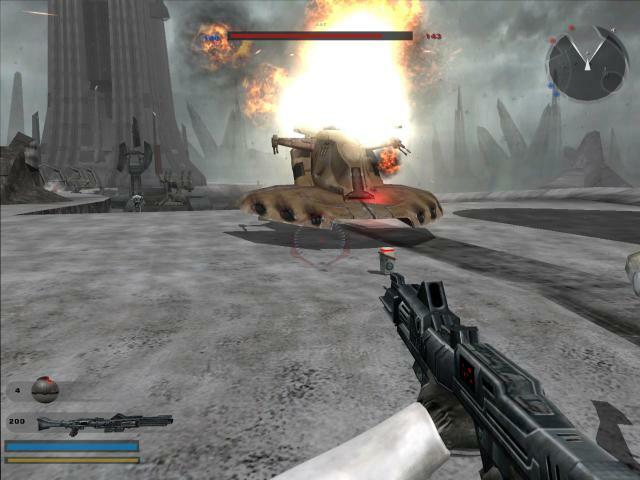 It's essentially a multi-player game but you can play in single-player as you just take on bots instead of humans but it's not quite as fun this way, so if you want a proper Star Wars shooter to play by yourself, go for Dark Forces instead. You've got three modes to choose from here: Historical allows to replay a number of famous battles from the movies; Conquest sees you battling for ownership of planets; while Instant Action just lets you get on with blasting everything without worrying why. 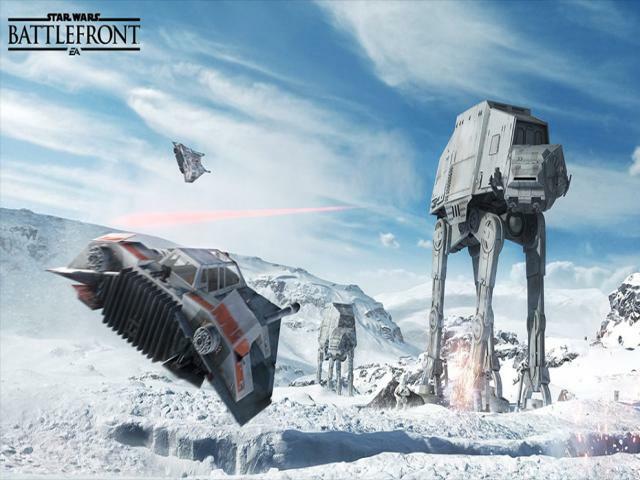 There are four factions to play as, each with a variety of classes to try out, while you can also jump into the cockpits of some of the series' most iconic vehicles and cause mayhem while in an AT-ST or a TIE Bomber. There are also some famous Jedi and Sith that turn up, although you can't control them, but it is fun to watch how their presence can change the tide of battle. If you can find human players to take on, this makes for a supremely entertaining time, as it really nails that Star Wars vibe and lets you take part in some truly epic battles. The variety of classes is a plus, as are the vehicles which add a lot to the excitement. It's still fun in single-player but less so as the bots aren't too challenging, but the visuals and sheer entertainment factor go a little way to making up for this.